Fill in the full computer name (i.e. 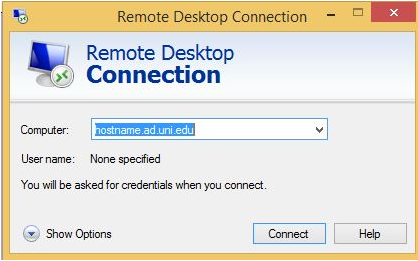 itsus-peterson.ad.uni.edu) of the workstation/server you want to connect to. 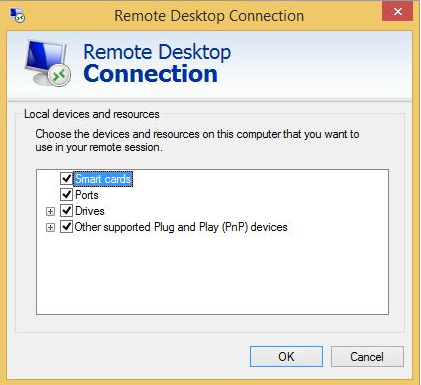 If you don’t know this name you can find it by right-mouse-click on Computer then select Properties, otherwise, contact your technical support team or the Computer Consulting Center. 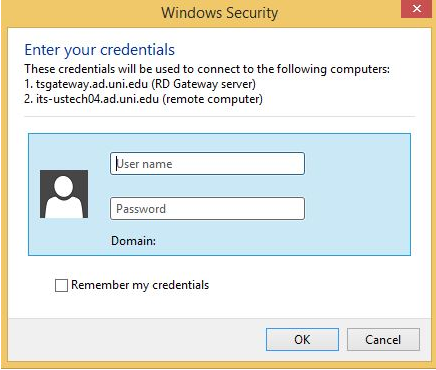 Click on the “Use these RD Gateway Server Setting:" and enter "tsgateway.uni.edu" in Server name and make "Ask for password (NTLM) the Logon method". 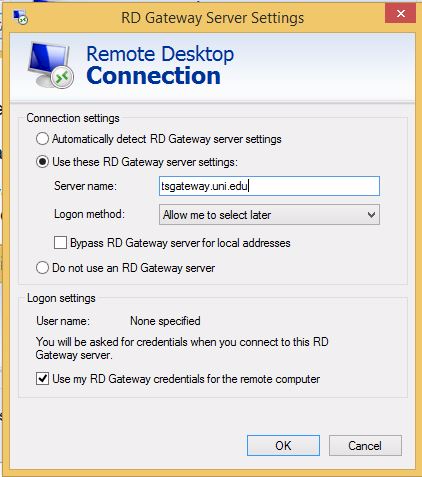 ***NOTE*** - on campus use can set this to "Automatically detect RD Gateway server settings", but only on campus. 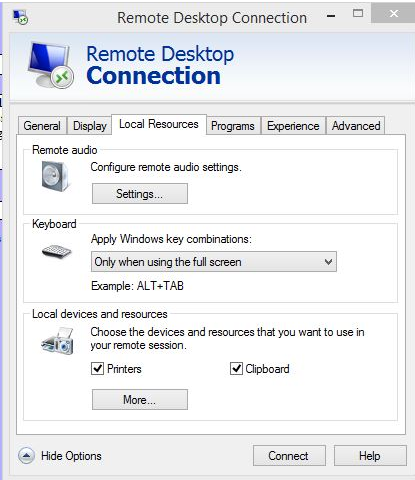 NOTES: We have identified some of the most common difficulties people encounter when they're trying to use Remote Desktop to work on their office computers. • When you are ready to exit your session perform the normal “Start” then “Log Off” procedure. 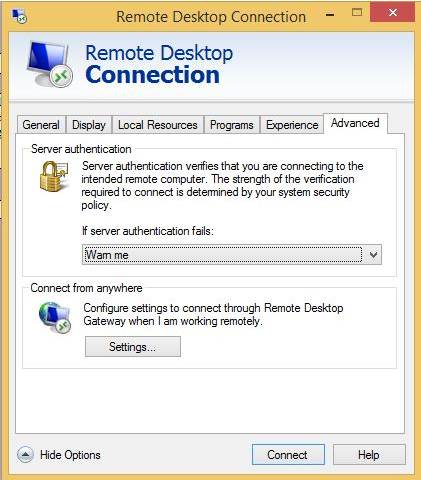 CAUTION: Do not use Start and Shut Down or you will be unable to restart your computer for the next time, so be sure to use either Log Off or Restart.